Tamás Bíró, M.D., Ph.D., D.Sc. Phytecs > Tamás Bíró, M.D., Ph.D., D.Sc. 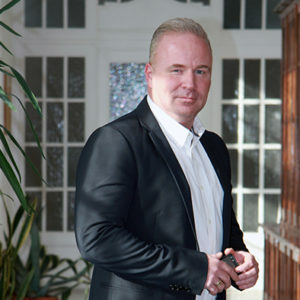 Dr. Tamás Bíró is Professor and Chair of the Department of Immunology at the University of Debrecen in Hungary. Dr. Bíró is also Head of the DE-MTA Lendület Cellular Physiology Group of the Hungarian Academy of Sciences located at the Department of Physiology at University of Debrecen. Both institutions are members of the Research Center for Molecular Medicine of the University, which was awarded by the “Center of Excellence” title by the European Union. Dr. Bíró studied general medicine at University of Debrecen. After receiving his MD, Dr. Bíró spent two years as a Fogarty fellow at the National Cancer Institute at the National Institutes of Health specializing in molecular pharmacology and neuroscience. After receiving his PhD degree in Physiology and Neurobiology, Dr. Bíró worked at the Department of Physiology at University of Debrecen for fifteen years, establishing and then chairing the Laboratory for Cellular and Molecular Physiology. Dr. Bíró’s current research activities chiefly focus on understanding the regulatory role of the endocannabinoid system and the closely related family of the TRP ion channels in the formation and establishment of the complex (physico-chemical, immunological, and regeneration) barrier of the human skin. Moreover, multiple projects of his Labs aim at exploiting the potential of numerous synthetic and plant-derived molecules, targeting the endocannabinoid system and certain TRP channels, in the therapeutic management of various skin diseases. Dr. Bíró is the author of more than 150 publications in international journals and has been the Principal Investigator for several Hungarian, international (EU), and industrial grants and contracts.